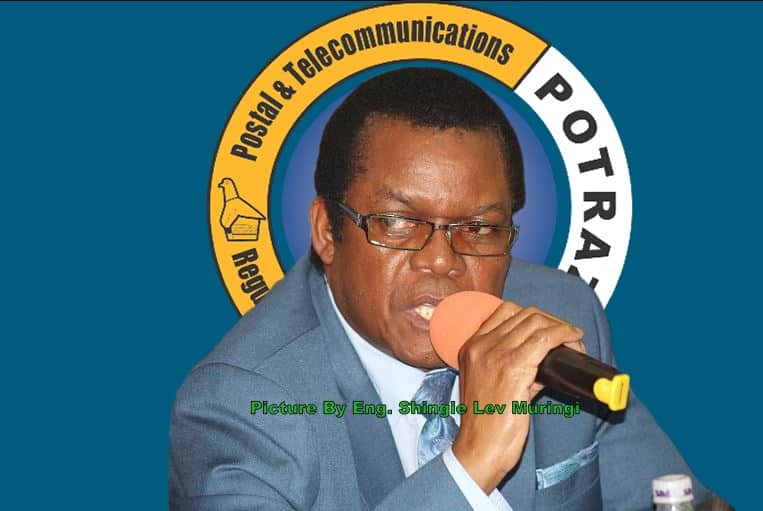 Communication operators, battling raising operational costs and soaring foreign currency denominated infrastructure costs and licence fees to foreign suppliers, are on a collision course with the industry regulator, Postal and Telecommunication Regulatory Authority of Zimbabwe (Potraz) over new tariffs. The main operators – Econet, NetOne and Telecel – that have applied for tariff adjustments in line with the new interbank foreign exchange rate, are unhappy over the regulator’s refusal to grant them an RTGS tariff adjustment. In a tariff circular sent to operators, and dated 22 March, 2019, the regulator effectively left the tariffs unchanged – a move that operators say will deal the industry a mortal blow, unless it is urgently reviewed. “You have an industry that is saddled with foreign debt to equipment suppliers such as Ericsson, ZTE and Huawei, and that is struggling to maintain, let alone upgrade, growing usage capacity on their networks,” said a well-placed industry insider, who preferred to remain anonymous for fear of prejudicing ongoing consultations with Potraz. “And by the Potraz DG (director general)’s own admission, the same network operators have been struggling to remit software licence fees and other obligations running into millions of US dollars to foreign suppliers,” he continued. “How then does the same regulator ignore the plight of the industry and act as though the US dollar and RTGS rate are still 1:1?” the insider asked rhetorically, in exasperation. Last month, through the Monetary Policy Statement, John Mangudya Reserve Bank of Zimbabwe governor , announced a new official exchange rate of 1USD to 2.5 RTGS dollars, saying the exchange rate would now more or less be floated, and traded through local banks on a willing buyer, willing seller basis. In the Potraz circular, a copy of which The Financial Gazette is in possession of, Potraz proposes new on-net voice call tariffs of RTGS$0.17, from the current USD$0.13 tariff, and an off-net voice tariffs of RTGS$0.12, from a tariff of USD$0.11. On-net tariffs are the call charges that mobile phone customers are charged for calls within the same network, while off-net tariffs are call charges for calls to other local networks. In the same circular, the telco regulator proposed a data price of RTGS$0.05 per MB, from the current USD$0.05 per MB. It appears, therefore, that Potraz just converted the current US dollar tariffs to RTGS tariffs, without adjusting them for the official movement in exchange rate from 1:1, to the current 1:2.8 between the US dollar and the RTGS dollar, as reportedly requested by the operators in their application to the regulator. “Without an exchange rate adjustment to the mobile tariffs, what it means is that the day the new MPS (monetary policy statement) was announced, mobile operators’ costs, which are largely in US dollars, went up three times, while their revenue (in USD terms) fell by close to 60 percent, and this is by no means sustainable,” said the industry insider. The ICT industry is regulated by the Government through the Postal and Telecommunications Regulatory Authority of Zimbabwe (Potraz). A 2018 fourth quarter sector report released by the Potraz last week showed a 41 percent jump in the average cost per user per month for mobile operators. The same report showed that operating costs for mobile operators grew by 25 percent between 2018 and 2017 – both a clear indication that all is not well with the sector, from a sustained growth point of view. The sector has also been battling mounting foreign currency denominated debt, related to both the current forex challenges as well as so-called ‘legacy’ or long-standing debt – especially among the State operated telco entities. This has prompted Finance Minister Mtuli Ncube to announce measures to partially privatise the Government telcos. But the concern, according to our well-placed industry source, is that the Government could fail to attract good investors in the telcos, if the investors have doubts about the industry profitability and longterm viability. On the same score, it could result in the vital national telco assets being sold on the cheap, prejudicing the country of millions in US dollars from their sale, and the country missing out on the intended benefits of the privatisation.